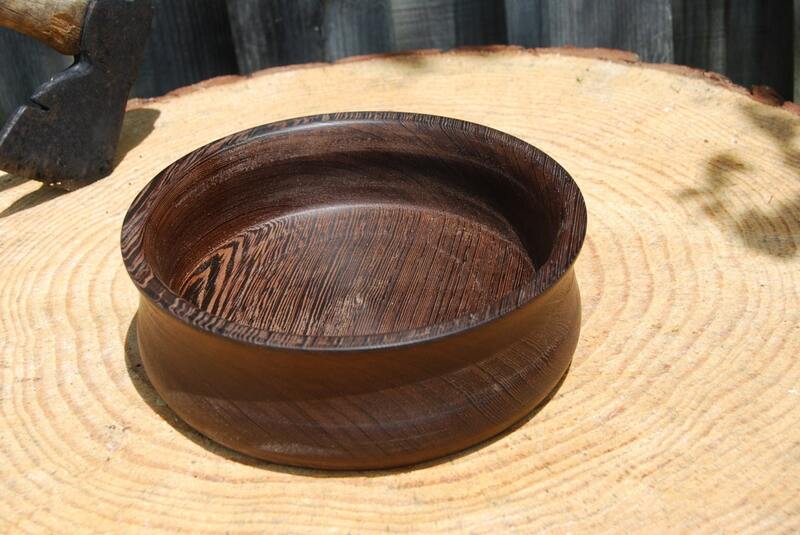 This sturdy, beautiful bowl is made from Ziricote. Ziricote is a wood that is from Central America and Mexico. It is a very dense, dark colored wood. 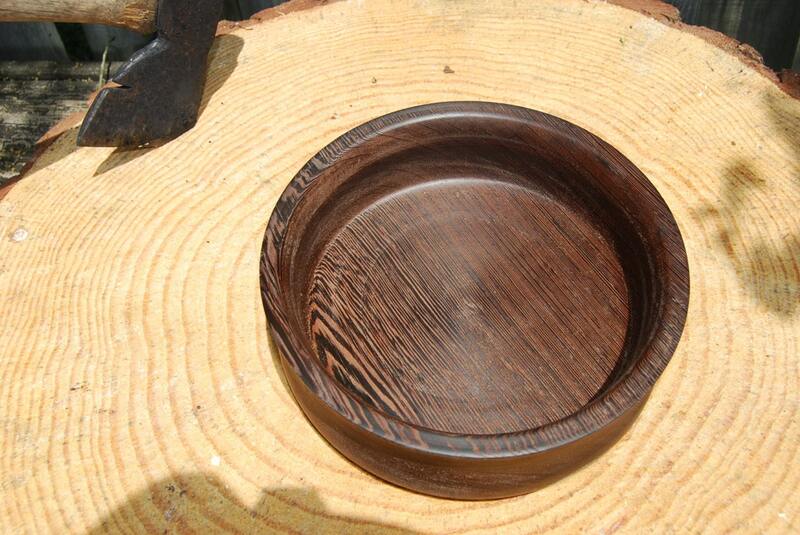 This bowl is very stately looking and the dark grain is very subtle. It has been treated with all natural bee's wax and mineral oil. This wood is naturally dense and slightly oily. It should only require a dusting occasionally. 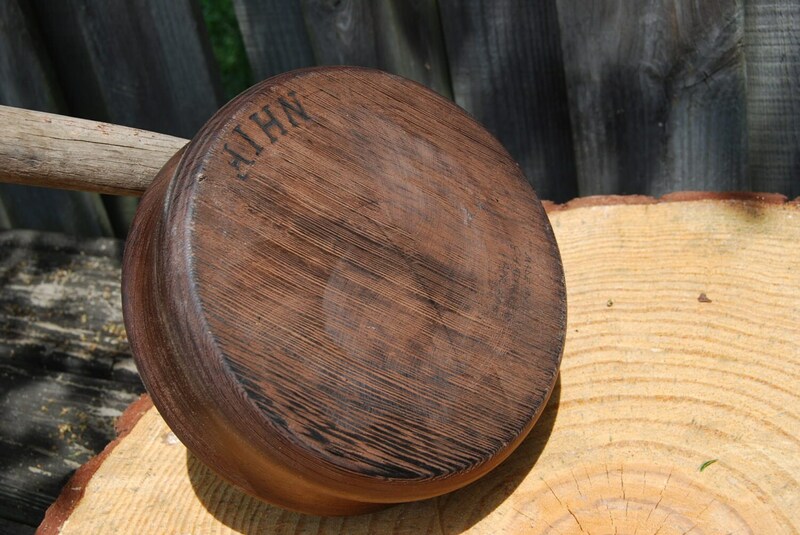 If you use it for food, a quick hand washing is appropriate, NO WOOD IN THE DISHWASHER. 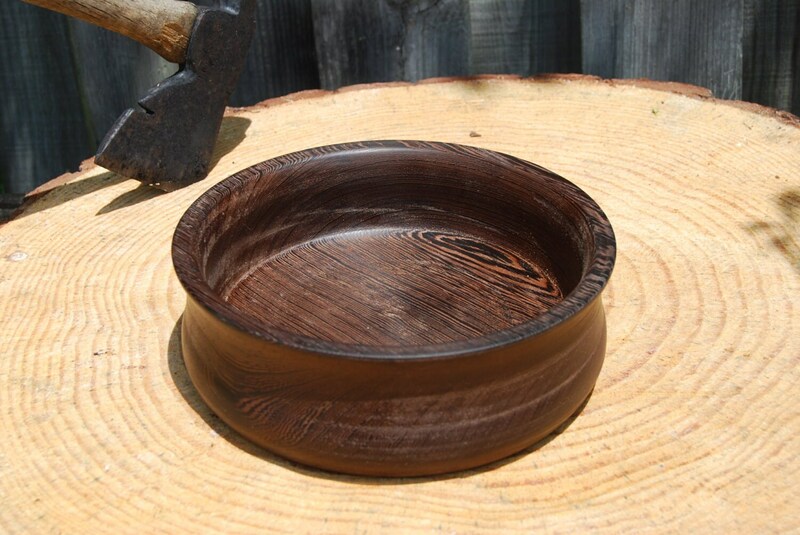 I believe this is very beautiful, durable bowl. .It is 9 inches in diameter and 3 inches tall.